Good Monday morning all . Hope your labor day weekend is going great . Today we are going to review Ann Hunter's book BORN TO RUN North Oak book one . When I started to read this book, I knew that this way going to be way more then just about a girl and her horse. The author takes on a journey of self discovery and what love can do to a broken soul. Her characters are complex and conflicted . The story line could be taken out of the pages of a newspaper. The horses are not put into the story line just for show . They are a big part of the story . Alexandra is a great character . She is trying to be tough but deep down inside she is a scared little girl. She has been through so much in her young life. But she is also a survivor, she doesn't want to get involved with anyone cause of her past in the group home . She sees the love between the families but doesn't know how to react when they show her love. But as you read you see that Alex is starting to blossom under the care. She touches all the other characters in such profound ways. Especially Mr North who knows more then he is letting on. You can see how she has affected him and the rest as you read along . I read this book in an afternoon. There are twists an turns that will keep you reading. There is so much that goes on , you won't be disappointed. There is a little bit of religion that goes on in the book but it is in appropriate places and doesn't overpower the book. This is a great book for the ages of 13- adult . The characters are great and the story flows with such ease . The ending kind of blew me away . This is a great start to hopefully a great new series . 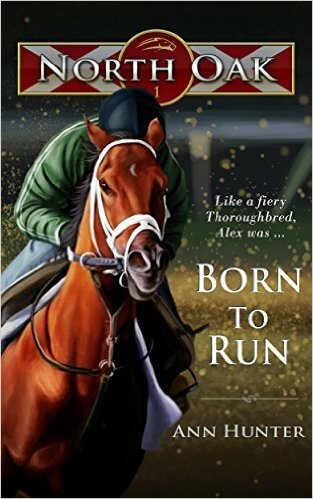 So if you want a great read with horses an complex characters . This will be the series for you .